Rustic meets refined in this elegant lodge appointed in décor reminiscent of the area's historic mining past. 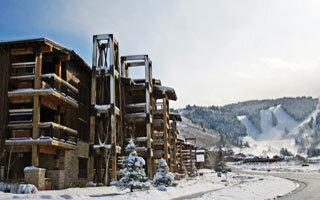 Conveniently located a short shuttle ride from Deer Valley Resort's base lodge and slopes, and only one mile from Park City's historic Main Street, the Silver Baron Lodge is comprised of 52 hotel rooms, 35 one-bedroom, 42 two-bedroom, 17 three-bedroom and three four-bedroom condominiums. Silver Baron Lodge features nearly 3,500 square feet of meeting space. With catering provided by Deer Valley's award-winning food and beverage team, complete audio/visual equipment, wireless Internet access and services including an on-site conference coordinator, your event will be easy and unforgettable.